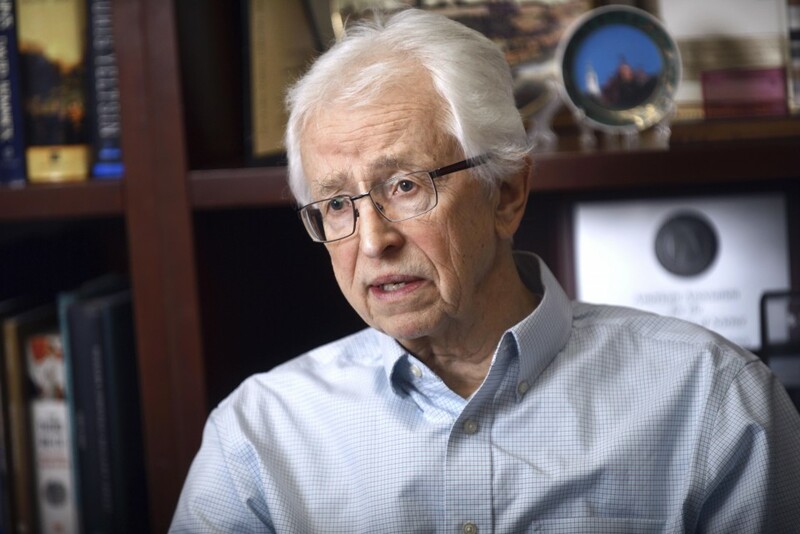 Siegfried Hecker, the former director of the Los Alamos National Laboratory, reflected on his frequent visits to North Korea's Yongbyon nuclear facility in a recent interview with Kyodo News. Hecker, a world-class nuclear scientist with profound knowledge about the isolated state's nuclear program, visited Yongbyon four times from 2004 to 2010. Yongbyon, a main center part of North Korea's nuclear material production activities, was one of the main subjects during the recent Hanoi summit meeting between U.S. President Donald Trump and North Korean leader Kim Jong Un, who tried to achieve comprehensive sanctions relief in return for giving up the facility in vain. "The big surprise was that they had taken this building, essentially gutted it, emptied it, and then put this super modern new centrifuge facility (in it). They took us inside. They showed us that. They said it was 2,000 centrifuges. I made some calculations and that was close, so it probably was very close to 2,000 centrifuges," Hecker said in recalling his fourth visit to Yongbyon in November 2010. "And it was much more modern, and bigger, than anything that I had expected. I knew they did centrifuges. I did not expect them to have that capacity," he said. A centrifuge is a key piece of equipment in producing of highly enriched uranium -- one of the key ingredients of nuclear bombs. Another material for making nuclear weapons is separated plutonium reprocessed from spent nuclear fuel from a nuclear reactor. According to U.S. specialists who are monitoring the facility thorough space satellite images, the centrifuge facility has been expanded roughly two times after Hecker's last visit there in 2010. "They never mentioned highly enriched uranium. They said that facility was to make low-enriched uranium for the reactor that was under construction at the time. So, what they wanted out of that trip is they wanted me to tell the world they now have the ability to make enriched uranium," Hecker recalled. 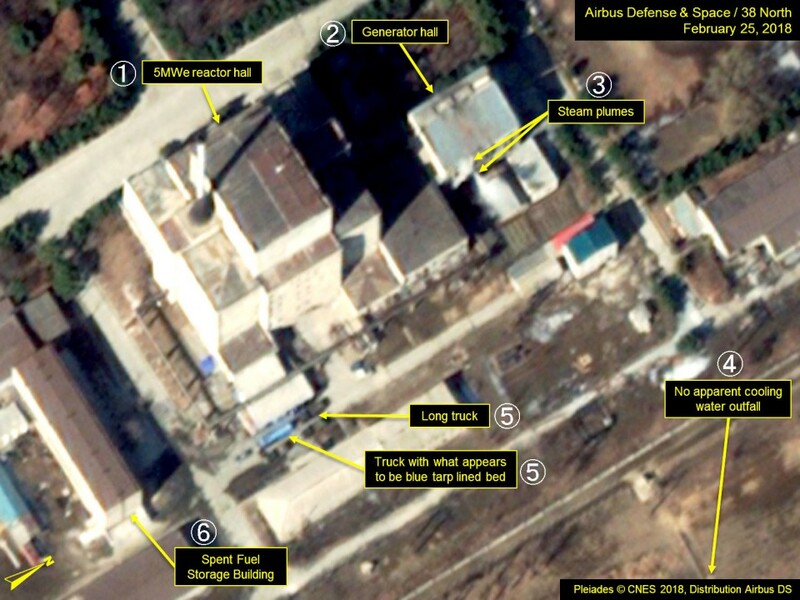 During the Hanoi summit in February, Trump sought more concessions from North Korea, putting pressure on Kim to admit to the existence of other uranium enrichment facilities which the U.S. and Japanese governments have assumed with high confidence exist outside Yongbyon. On that point, Hecker made his own evaluation about the plausibility of other enrichment facilities, saying, "I also concluded, based on what I saw, they clearly have another facility or two someplace else." "You cannot build the way they (North Korean scientists) said. They said they started in the summer of 2009, to have this facility ready in 2010. There is no way. So, my conclusion was they have another facility someplace else, a reasonably significant facility, to have tested all of this out before they brought it into Yongbyon," he said. Hecker also looked back on a significant occasion during his first visit to North Korea when he saw special materials in a glass jar, which the Yongbyon director explained was separated plutonium on Jan. 6, 2004. "They took me through the reprocessing facility. But they said they had already finished the reprocessing, so it was no longer operating at that time. And that's when we were sitting in a conference room, and they said, 'Well, Dr. Hecker, we've now shown you our deterrent.'" "And I said, 'Well, wait a minute here. Not so fast.' I said 'You need three things for a deterrent. You need the bomb fuel. If you have that, you need to weaponize.' That means you need to design, build, and test, and then, third, you need to deliver." After Hecker's rebuke against North Korea's insistence on having a deterrent, Yongbyon Director Li Hong Sop brought a red metal box into the conference room. "They opened that. There was a white wooden box inside. They slid off the top and there were two glass jars. They said 'One is our product, plutonium metal, 200 grams. The other one was plutonium oxalate,' which is one of the forms of plutonium that you separate from the fuel rods before you make plutonium metal," he recalled. When Hecker visited Yongbyon in August 2007, 10 months after North Korea's first nuclear test, he was shown another new facility. "That's when they actually took me to the plutonium laboratory. Nobody had ever been inside, no outsiders had been in that laboratory," Hecker said. "It's inside of the reprocessing facility, in a special building annex of the reprocessing facility. They took me there, again to try to show me they really have the capability for plutonium, which they did," he said. When will Hecker receive a new invitation to Yongbyon? He has no idea. How many nuclear warheads could North Korea possess? Hecker said, "My best estimate, by the end of 2018, maybe 35, something like that." "The quick answer is I believe they have somewhere between 20 and 40 kilograms of plutonium, at the end of 2017. They have somewhere of 250 to 500 kilograms of HEU, and they have very little tritium, for a hydrogen bomb, very little." He also said North Korea can make six or seven more per year. "Fissile material production has not stopped," he said, noting the importance of immediate complete suspension of nuclear material production, an opportunity which unfortunately was missed at the Hanoi summit meeting.